In truth I think somewhere deep down in everyone is a baker waiting to get out. Maybe not a great baker. Maybe not even a good baker. We can all bake, though. 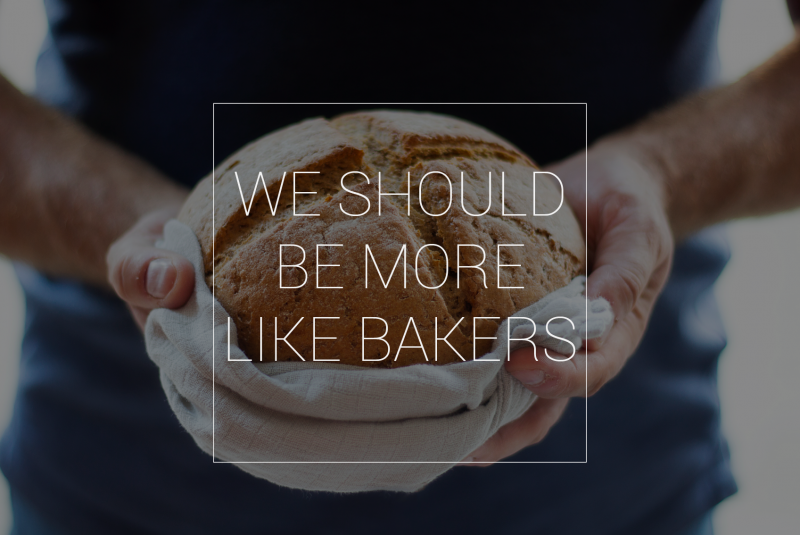 We can all create something from a little butter, flour, egg, and other stuff (I am a particularly great baker, can you tell?). Writing is a like baking cakes. There's a science to it, people tell you that all of the time. They even have recipes if you go looking for them. There are systems and tips and great swathes of people lining up to tell you the rules and regulations. Fact is, most of the time none of that matters as long as you know the basics. Know the rules, and then know how to break them. As long as you know how to balance action with lulls, flour with milk, and crisis with resolution; as long as you know how much mystery is too much, and that bad eggs tend to float, then the rest just comes with experience. The best cakes I've ever made have been accidents. So were most of my favourite written pieces. Things go wrong with cakes of course, but it's rare you'll see a person beating themselves up about it unless they're on TV. This is because bakers know something we writers struggle to understand. There will always be another cake. There will always be another book too. You never see a baker worried that they'll suddenly lose the ability to mix ingredients together, or work an oven, and yet you do see writers clam up with the fear that this is the only book they have in them -- after this the well dries up. I think we could stand to take a thing or two away from the attitude bakers have to their lives. Baking is just as important to some as the words are to us, so it's not that they don't fear failure but they never stop doing it. They never stop loving it. So too I think we should never stop writing, knowing that there will always be another thing after this. The words can never leave us. If they could they would have abandoned us long before this moment. The words will never leave us.